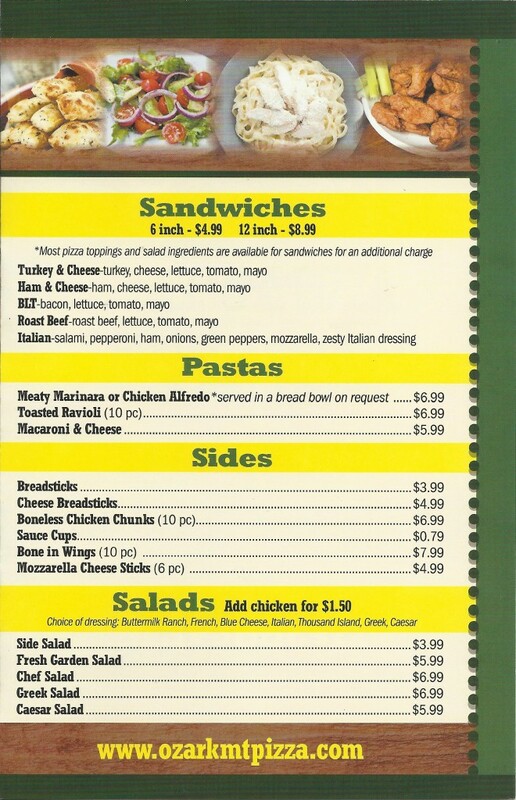 Quality pizza, subs, fresh salads and pasta dishes available. Desserts include Bavarian dessert pizza, apple dessert pizza, and cinnamon sticks. 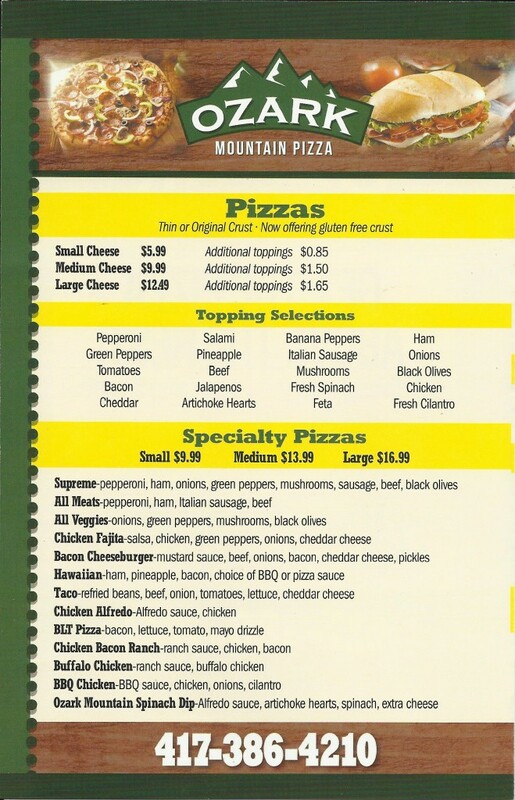 Scroll down this page to view their entire menu. Open 7 days a week. Extended hours during the summer. 11am – 11pm. 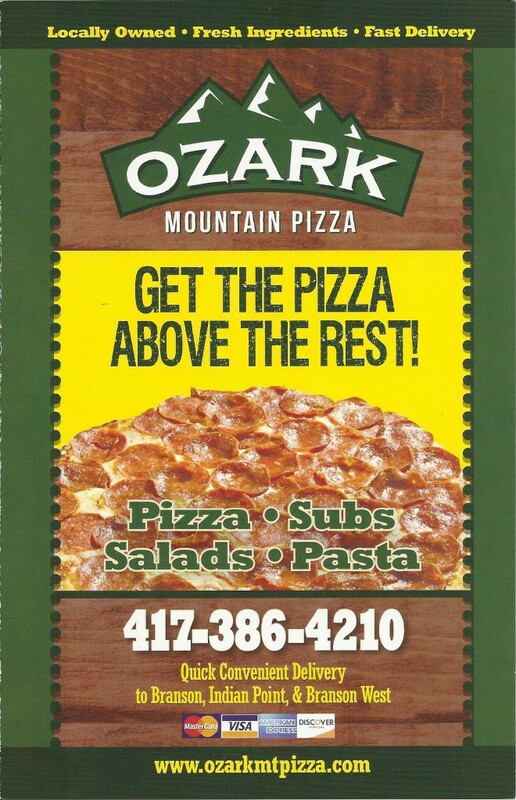 You can visit them at their website: www.OzarkMtPizza.com, or follow them on Facebook. 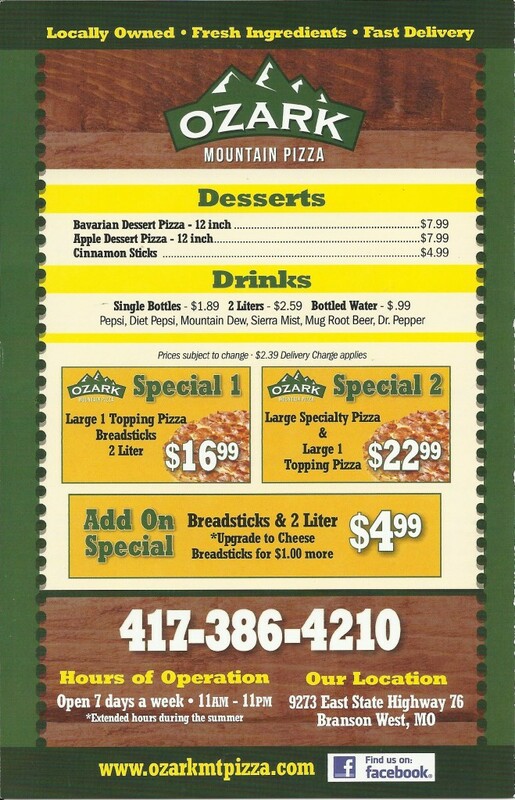 Quick convenient delivery to Branson, Indian Point and Branson West.